Domestic and commercial electrical installations and maintenance in Kent. Services include upgrades, rewires, smart homes, electrical gates, security and IT up to the latest standards. 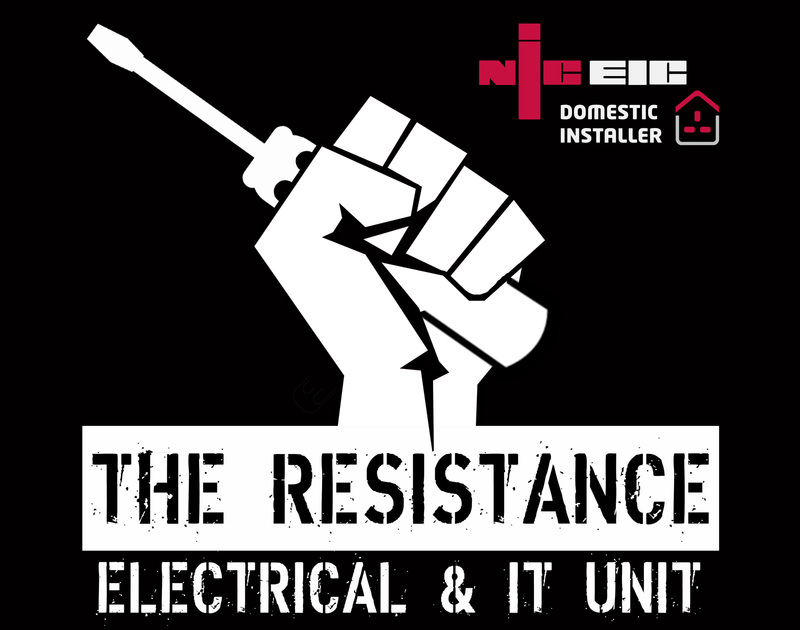 The Resistance are NICEIC registered and insured contractors run by a fully qualified electrician and electrical installations inspector. We are based in Rochester and operate within Kent. For larger contracts we do travel as far as London and Essex. We welcome both domestic and commercial assignments and work directly with clients or alternatively serve as external contractors on behalf of third parties, landlords and property agencies. - Supply and installation of Building Network Operator infrastructure in block of flats or industrial parks, including Ryefield/Lucy boards and distribution equipment. - Initial electrical inspections and testing for builders and developers. - Entry phones and coded access solutions. - Installation of smart home devices, underfloor heating and smart boiler/heating controls. Company No: 09662311 VAT Reg: 217 1065 41. Professionalism, honesty and integrity. I believe in treating all our customers as we would want to be treated ourselves. My life motto is "true story" and I run my business according to the same ethics. We do not do pressure sales. All of our customers are provided with honest and fair assessment to the best of our professional abilities and are always given full and true story. For any jobs where customer is not present on site - we always provide photographic evidence and a full written description of what was replaced and why. You will always be informed of the timeline and progress and we will never waste your time. As a principle we do not quote for something that doesn't need doing and we would never advise customer to replace something that doesn't need replacing. No job is ever too big, too small or too time consuming. All jobs deserve to be done well or not at all, so if we can't do it - we will put you in touch with someone who can. Our quotes, estimates and advice are always free and we believe in community spirit and word of mouth so will always provide honest, realistic assessment and all quoted work will always be provided with full explanation of costs. You can request price match from us and we will be happy to improve on any realistic, confirmed or written quote, if possible. Need a quick quote or appointment?